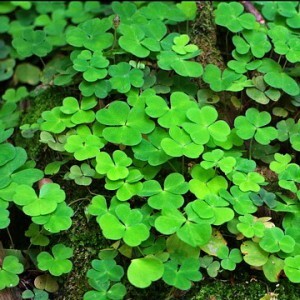 Oxalis is the sort of herbs and semi-bushes from the family of Oxalidaceae. The plant estimates about 8 hundred types which grow mainly in Mexico, South America, South Africa, and also here and there to the East from Atlantic. In our dark-coniferous forests Oxalis often meets ordinary (Oxalis acetosella). It is hare cabbage, it is simply Kislichka, it is «A cuckoo clover», and in Germany it is called as «A sour clover». Names both Russian, and German, and Latin («oxy» formed from a basis present at such words as «oxygala» that means «curdled milk», «oxygarum» means «fish sauce with vinegar», and meaning sharp sourness).